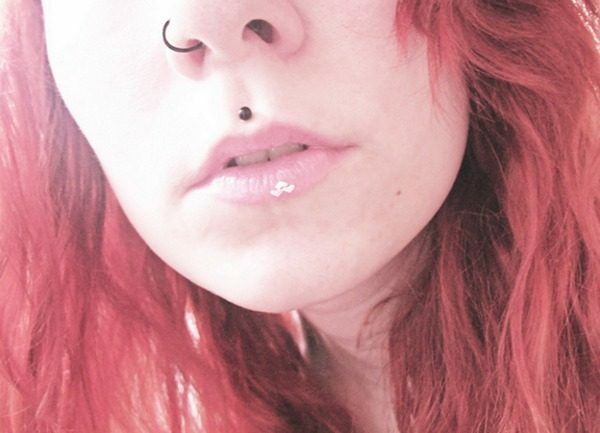 Medusa piercing is otherwise called philtrum piercing. This is the newest trend of lip piercing that is being rooted by a number of people in the world, especially the young ones. It is a gorgeous kind of piercing located above your top lip part. Specifically, it can be seen on the philtrum, which is a facial region that links the nose and the lips of a person. 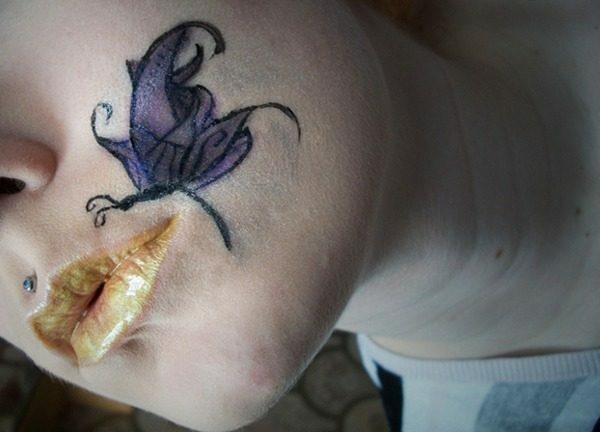 This part of the face is even known as the cupid’s bow. The number of women who are getting pierced on this part is rapidly increasing day by day. Well, there is no question about that since such piercing can accentuate or emphasize the gorgeous lips of those women out there. 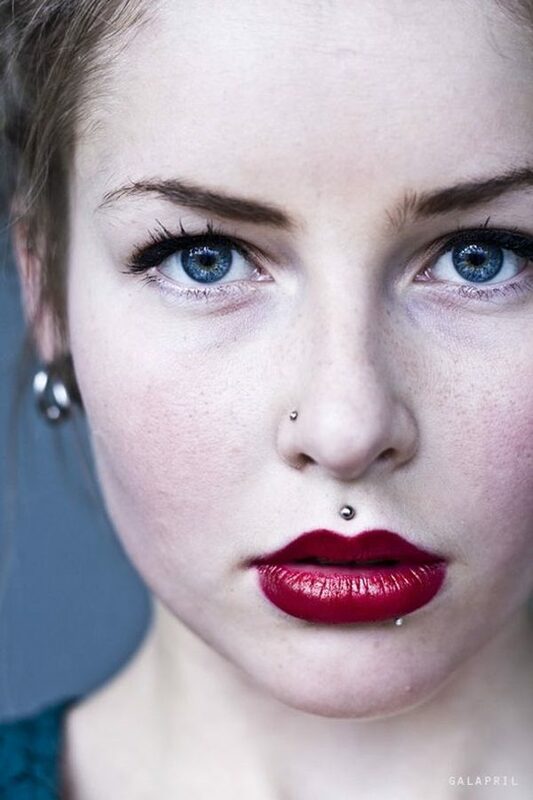 It can even look more gorgeous with the help of some other facial piercings such as nose piercing, cheek piercing, monroe piercing, spider bites piercing, snake bites piercing, dahlia Piercing and a labret piercing located on the lower lip. A philtrum piercing can also highlight several other beautiful facial features of a person, apart from his or her lips. 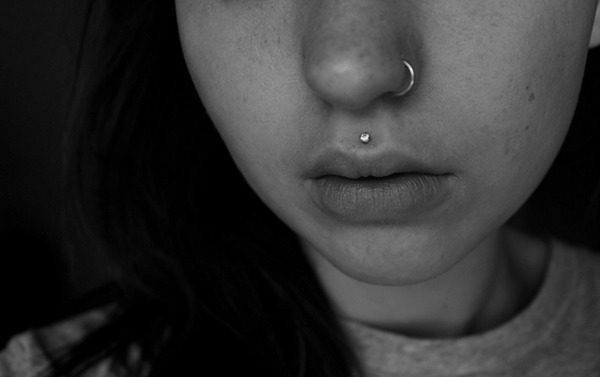 It is capable enough in creating an illusion that your face is perfectly balance because this piercing is symmetrical. There is no way you will not be noticed amidst the crowd when you are wearing this particular piercing. 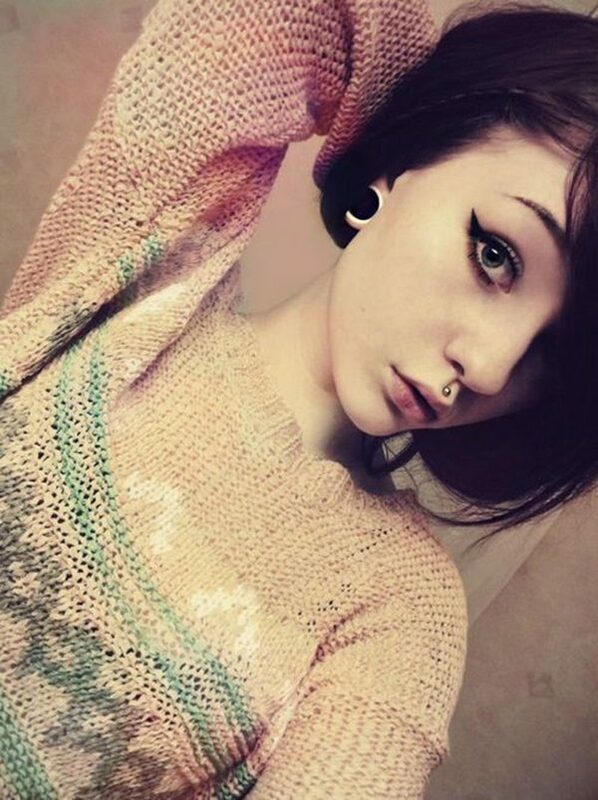 It can exude a very girly look though, so boys must think about it deeply before getting a medusa piercing. For a tougher manly look, this piercing should be incorporated with some other piercings. 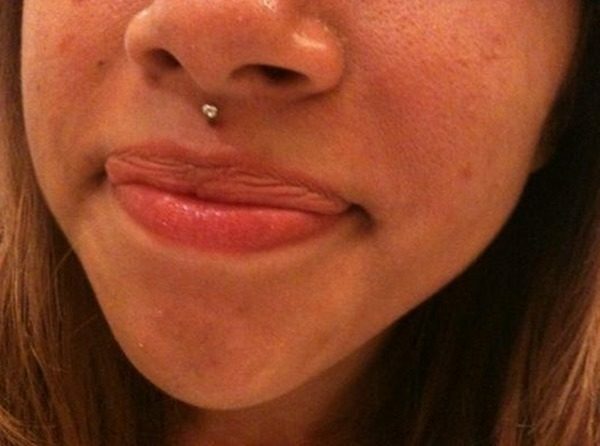 How much does a medusa piercing cost? How bad is a scar left by taking out? How much does lip piercing scar removal cost? 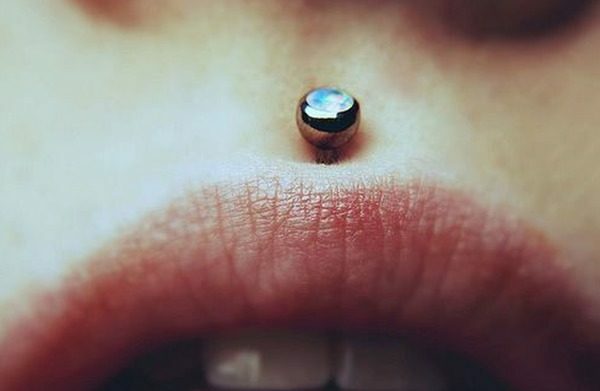 Just like any other kinds of piercings in the body, a philtrum piercing also has its own important procedure that must always be kept in mind, specially to those people who are eager enough to try this piercing. Without a proper piercing procedure, getting pierced on the philtrum part may not be as successful as you want it to be. Get familiar with the entire procedure, and get pierced without any delays. The very first thing that must be done is for those people who want to get pierced. You need to make your own research on the finest piercing salon available in town, and head to its specific location for a piercing session. Once you are already inside the salon, the professional piercer should entertain you and make you very comfortable before beginning the piercing procedure. She or he must also give you some quick briefs about the entire procedure. Before anything else, the philtrum part must be cleaned well first in order to kill the bacteria that may be present on that facial portion. It can be done through the aid of an antiseptic solution. Right after that, you should clean the insides of your mouth with an oral antimicrobial solution given by the professional piercer. Gargling the solution would be more than enough, of course. The light, hollow piercing needle will then be inserted right there at the center of your philtrum, passing through the skin and muscles. In order to do it successfully, the piercer may need the assistance of a piercing clamp that will stretch your upper lip part. Lastly, the jewelry of your choice will be inserted through the holes created, and the quick procedure is done. 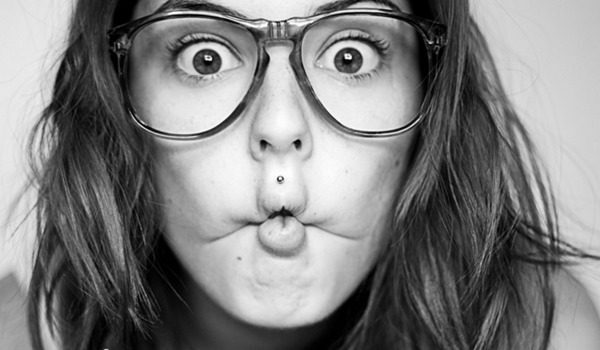 The truth is, more and more people are getting interested about having this piercing on their face. However, great portion of these people has not yet giving it a shot because of the fear of pain. 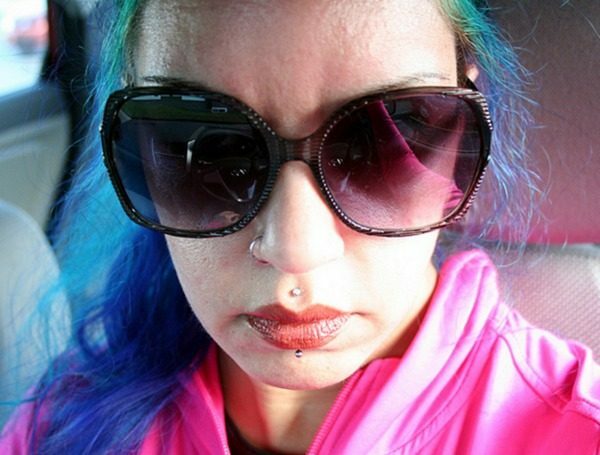 They have one common question in mind that goes, does it really hurt much when undergoing a medusa piercing procedure? Well, the answer is a big yes. There is no way you cannot feel the pain since it involves needle penetration right there on the skin and tissues of your philtrum part. The amount of pain felt may differ from one person to another though. It is simply because every individual has different level of pain tolerance. You are lucky enough if you have higher pain tolerance. But if you are one of those who have lower one, then you need to prepare yourself emotionally, and make sure to just proceed on the actual procedure if you are already 100 percent prepared. Then intense discomfort is actually normal since wider group of nerves is present on the upper lip part where your philtrum is located. Anyway, a true experienced, professional piercer can always make this pain tolerable to every client. The piercing might take 6 to 12 weeks for permanent healing. The healing process involved might be a bit tricky on your part. It is simply because there are a lot of factors that can hamper its healing time, or speed it up. The very first healing-affecting factor is the choice of jewelry that will be placed on the pierced area. Every jewelry option available is made from different materials, and some of them may badly react on your skin type, causing some irritations and infections to occur. When this unfortunate thing happens, you should prepare yourself for longer duration of the healing process. Another thing is how responsible you are in taking good care of the pierced area. You must perform the necessary aftercares so that the area will remain in great condition as you want it to be. But if you are irresponsible enough, then expect for a longer time for you to wait for its full recovery. Normally, it will just take you a minimum of 6 weeks and a maximum of 12 weeks for you to confidently say that the pierced facial portion is already healed completely. The price of the piercing ranges between $20 and $30 in any elite piercing studio. Depending on where you are, the cost may be anything from $300- $1000. Cleaning the insides of your mouth with the use of antiseptic mouthwash is highly discouraged. This kind of mouthwash is way too strong in contents that may just worsen the condition of your pierced philtrum. While taking your bath, it is advantageous for you to incorporate the cleaning of the pierced area as well as the piercing itself. In this cleaning session, a mild soap would be a great help. 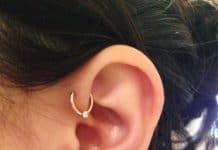 Twice a day, it is also good to do the cleaning on the piercing jewelry and the pierced portion using a cotton ball that is dipped from a warm salt solution. After you eat your meals in a day, be sure to clean your mouth with the warm salt water. On the piercing jewelry and the pierced portion, applying cosmetic products, lotions, and antibacterial creams is prohibited. The main reason for this is that these may contain strong chemicals that can badly affect your medusa piercing as well as your own self. There are some food items that you need to avoid, and these are the sticky foods and even those hot and spicy ones. Brushing your teeth is important, but make sure to utilize a mild toothpaste and a soft-bristled toothbrush. Drinking alcoholic beverages and smoking cigarettes should not be included in your list of activities. Always pat dry the pierced area with the use of a clean towel every after cleaning or washing session. 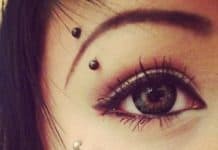 If you think that a medusa piercing is a very safe adornment that can be incorporated on your body, then you are surely thinking a wrong perception. Just like any other body piercings, it can also be the main cause of several minor and severe complications that you do not want to experience. If you are careless enough about the pierced region, some infections may develop along the way. Most of these infections will cause some fluid discharges from the pierced area, tolerable and intense discomfort, redness, and severe swelling. When you notice some of these horrible things, then you should start worrying with the condition of your pierced part. It may already acquire some infections that may put your own life at risk. As a solution for this, it is best to head to a medical professional and let him or her check the entire area. Moreover, your teeth and gums can also be badly affected from a Philtrum piercing. And in due time, loss of teeth can be experienced. If your skin type is not compatible with the materials used in making your jewelry choice, then the worst thing to happen is leaving your skin with some unsightly scars. There is no need to worry though, since a professional, experienced piercer can always give you some important and helpful ideas on how to prevent these complications from occurring. Just be sure to listen to them, and internalize everything that he or she is about to say. 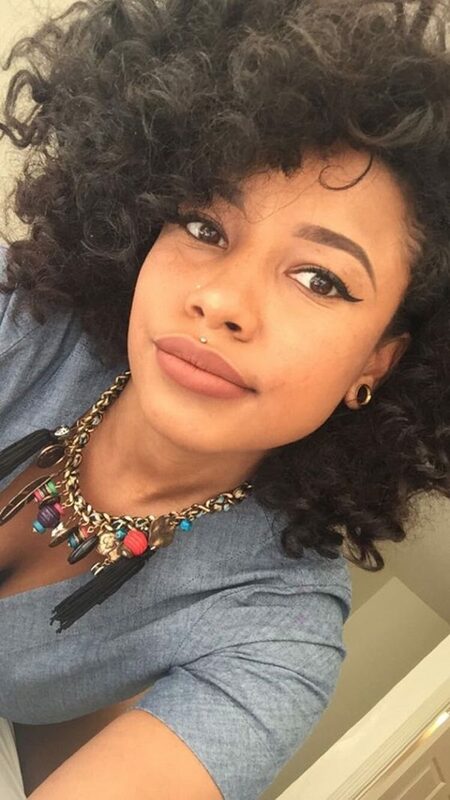 Labret studs are ideal choice for the piercing, try unique designs that will make your upper lip looks charming. Although rings are difficult to fit into the philtrum, you can have a discussion with your professional piercer. Acrylic retainers can be worn to hide the piercing at schools and workplaces. For those wanting to sport a fake medusa piercing can go for colorful magnetic studs. 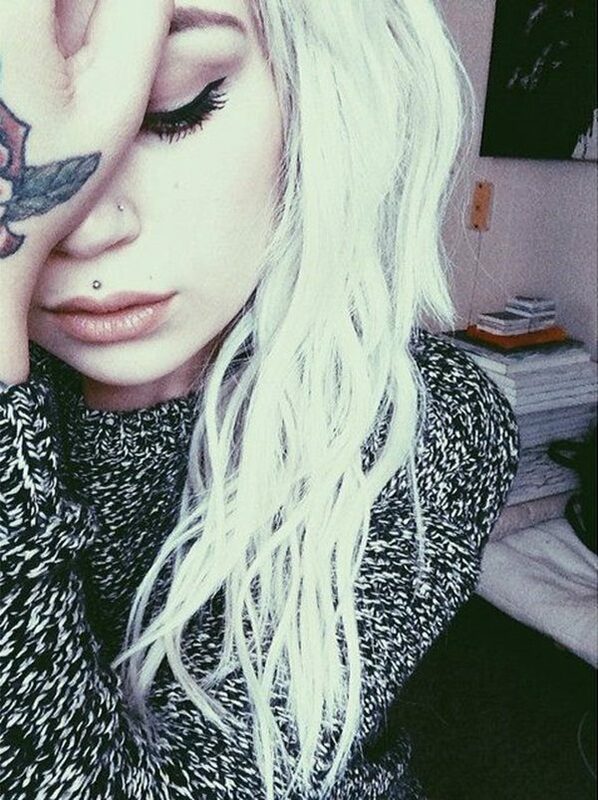 A medusa piercing is a gorgeous adornment on the body any men and women can wear. However, it will typically look amazing to women. But before going for this kind of piercing, making yourself well-acquainted first about it is extremely significant.